In the second part of our 2016 MLB predictions, SI.com's experts make their picks for this year's surprise team, breakout player and more. Welcome to Part II of SI.com's 2016 MLB picks and predictions. In Part I, our baseball experts chose their playoff teams and this upcoming season's MVP, Cy Young and Rookie of the Year winners in each league. In the second part, those same major league mavens look once again into their crystal balls to name 2016's surprise team, breakout player and free-agent flop, as well as a final bold prediction for the year. I’m still trying to figure out how the Rays won 80 games last year with an offense that ranked 14th in the league and with Kevin Kiermaier (10 home runs) as their top lefthanded home run threat. This time, the offense is deeper (league average would be a big upgrade), and the pitching staff should get 72 starts from breakout star Drew Smyly, Matt Moore and Alex Cobb after getting just 24 from them last year. A bullpen filled with questions will determine Tampa Bay's fate. A big comeback year from Matt Moore, a full season from Drew Smyly, a Cy Young performance from Chris Archer, the return of Alex Cobb in the second half: The ingredients are there for the Rays to have the AL’s finest rotation in 2016. 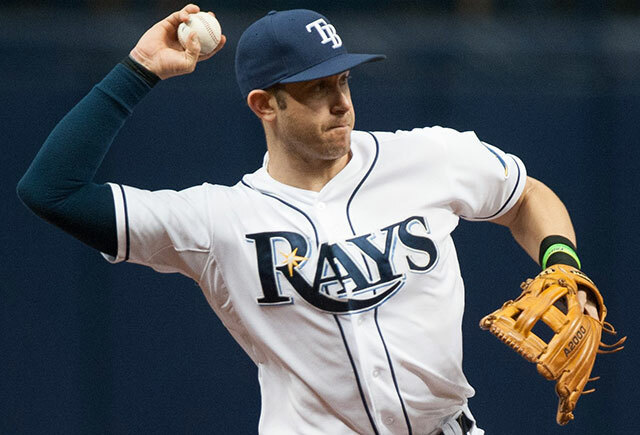 Tampa needs Alex Colome or Danny Farquhar to step up with closer Brad Boxberger out at least a month, and the team will need more offense from Evan Longoria, Steven Souza Jr. and Desmond Jennings. But with that starting pitching, some roster flexibility that will allow manager Kevin Cash to be creative, and a little change of luck—Tampa Bay was 2–13 in extra innings last year—the Rays will take the AL East. Is the Rays’ rotation better than the Mets' starting five? It might be, at least by the All-Star break, when Alex Cobb returns from Tommy John surgery and Blake Snell, one of the game’s top four pitching prospects, might have debuted. They’ll join Chris Archer, Jake Odorizzi, Drew Smyly and Matt Moore to form a formidable sextet of 28-and-unders, all of whom are still improving. The Rays probably won’t score many runs, but they should allow even fewer, and that’s a combination that could lead to a surprise playoff berth. The Marlins won’t make the playoffs because the stratified NL has too many good teams. But the Fish will pay off last year’s optimism a bit, flirting with contention through Labor Day. Six teams in the NL are rebuilding. Eight are considered contenders. The leaves just one that doesn’t fit in either category: the Marlins. My expectation is that Miami will finish closer to the contenders than the rebuilders, which would be a big improvement for a team that won just 71 games last year. That optimism comes from the prospect of having Giancarlo Stanton healthy for more than last year’s 74 games and Jose Fernandez in the rotation for more than last year’s 11 starts. It also comes from expectations of maturation and improvement from sophomores Justin Bour and J.T. Realmuto and outfielders Christian Yelich and Marcell Ozuna, in their age-24 and -25 seasons, respectively, under the guidance of hitting coach Barry Bonds and new manager Don Mattingly. Add Wei-Yin Chen and a full season of Adam Conley (11 starts as a rookie last year) to the rotation, and the Marlins could make things more difficult for the Mets and Nationals in the East this year, even if they still seem likely to fall short of the postseason. The Twins won 83 games last year despite getting less productive seasons than they did in 2014 from key players such as Brian Dozier, Phil Hughes, Joe Mauer and Trevor Plouffe. This time around, they’ll have full seasons from Miguel Sano, Ervin Santana and (hopefully) top prospect Byron Buxton (who for all of his raw talent still has to prove he can handle big-league pitching), and they’ve added some extra punch with Korean import Byung-ho Park. Fold in possible rebounds from Mauer, who’s experimenting with sunglasses to counter his post-concussion pitch-tracking problems, and Hughes, who wasn’t as sharp as in 2014, and add the midseason arrival of Jose Berrios, who will give this team a starter who can miss a ton of bats. If it all comes together, Minnesota could challenge in the AL Central. Okay, yes, we thought this last year too. But there’s no reason Robinson Cano can’t be back to his superstar self after a tough season on the field and off, giving the Mariners a formidable heart of the lineup. With Felix Hernandez and Hisashi Iwakuma back and Taijuan Walker gaining another season of experience, plus an overhauled bullpen, there’s no reason Seattle can’t hang in the wild card race. The Mariners may not be ready to contend for a championship, but they do look ready to win 10 more games than last year and jump into respectability. He hits the ball hard—really hard. Only Giancarlo Stanton, Miguel Carbrera and Miguel Sano had a higher average exit velocity last season than did Grichuk. To tremendous raw power, now add almost 500 major league plate appearances of experience, his age-24 season and full health after an injury-shortened 2015 (no more squats, which caused a back injury last year), and you’re looking at a 30-homer impact bat waiting to happen. You could argue he had his breakout last season, when he ripped 14 home runs in 304 at-bats before a broken wrist ended his season early, but Franco—fully recovered from the injury and bludgeoning baseballs this spring in Florida—looks like he could be an All-Star this season. The Adrian Beltre comparisons aren't a stretch; the dude can mash, and hey, he gives you a reason to tune into Phillies games this year. Odor certainly wasn’t ready for the majors when he debuted in 2014, at 20, and probably wasn’t at the beginning of last year: He batted .144 with a .486 OPS before being demoted on May 8. When he came back in June, though, it was a different story: Over his final 91 games, he batted .292 with 15 homers, 52 RBIs, five steals and an OPS of .861. Those numbers should be only starting points for the second baseman, who only turned 22 in February. One homer per 15 1/2 at-bats in his rookie season combined with another year of experience adds up to Sano leading the big leagues in long balls. 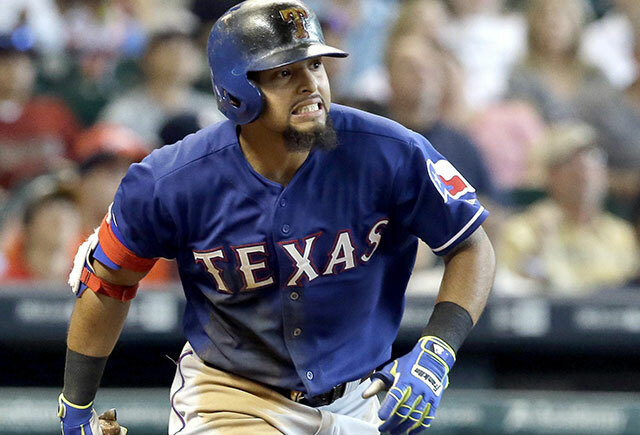 One could argue that Odor had his breakout moment in the ALDS last year, when he hit .278/.381/.500, led the Rangers with seven runs scored and was a general nuisance to the Blue Jays. Even more compelling was the .292/.334/.527 line he put up in 91 games after being recalled from Triple A in mid-June, a performance that included 15 home runs in 367 plate appearances. Still just 22, he is entering his third major league season, but this should be his first full season in the majors, and I wouldn’t be surprised to see him ranked among the best second basemen in the game by the time the All-Star voting gets interesting. The job of filling David Price’s oversized shoes in Toronto is a whole lot for one pitcher, even given that Price was just a July 31 acquisition. While the Jays don’t have a Cy Young-caliber replacement at the ready, they do have a promising tandem in the going-on-25-year-old Stroman and the 23-year-old Sanchez, who seem as though they’ve been around forever yet have combined for just 35 big-league starts in two seasons due to injuries and detours to the bullpen. Stroman’s quick return from an ACL tear last year put his intangibles on display; pair all of that with dominant stuff that generates a ton of ground balls and more swing-and-miss than he showed during his brief return, and you’ve got a frontline pitcher. Sanchez was the talk of camp in his battle to earn the No. 5 spot in the rotation, showing off the improved secondary stuff he’ll need to survive in the rotation. The Jays will have an eye on the innings totals of both pitchers given last year’s smaller workloads, but expect this pair to pitch Toronto back into the postseason. The Orioles have a tough road ahead of them this season, but plenty of bright spots, too, one of which should be Schoop. The 24-year-old second baseman took huge strides last year, knocking 15 home runs in just 86 games (thanks to an early-season knee injury). That’s compared to 16 homers in 137 games the year before, and he improved his line by leaps and bounds from .209/.244/.354 to .279/.306/.482. Those kind of numbers at second base over a full season would make Schoop a star, especially if he can learn to take a walk even just a tad more often. Happ is useful rotation filler, but the Blue Jays are betting heavily ($36 million over three years) based on his final nine starts for Pittsburgh that he’s more than that. Happ is on the wrong side of 30 (33), faced six losing NL teams in those final nine starts and has a lifetime ERA in the AL of 4.46 and an adjusted ERA in the league of 88. The Giants badly needed a No. 2 starter to slot behind Madison Bumgarner, but they overpaid when they shelled out $90 million for Samardzija, who's never really been a No. 2-caliber starter in his career. He is 31, his strikeout rate has been declining, and he has not had a particularly promising spring. And while Samardzija is moving to a more favorable ballpark and will have a better defense behind him, it's a stretch to think that the guy who gave up the most hits and home runs in the AL in 2015 will be significantly better in '16—which is what San Francisco is betting on. Johnny Cueto’s six-year, $130 million deal might prove worse pound-for-pound, but Kazmir’s three-year, $48 million pact could end up being more disappointing, in that Kazmir is supposed to be replacing the departed Zack Greinke. The southpaw has been solid during his three-year comeback, with a cumulative ERA of 3.54, but not in a way that screams $16 million a year. 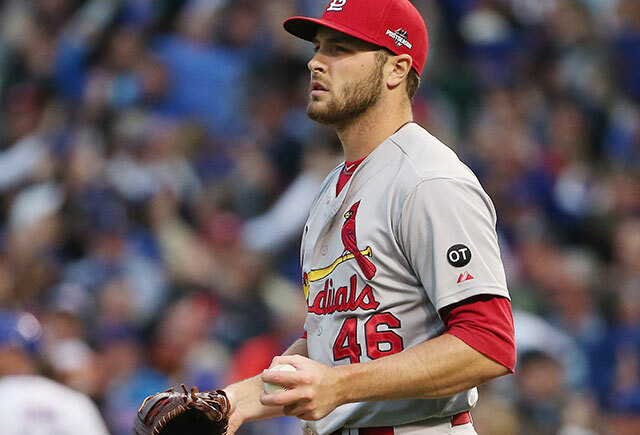 He’s also shown a tendency to wear down late in seasons, with an ERA of 5.40 over the past two Septembers, perhaps in part because of his sub-six foot frame. For Davis, the Mendoza Line comes back into play and is compounded by a DL stint, leaving the O’s with a bunch of (mostly) empty homers. From late July 2012 through the end of the '14 season, Happ posted a 90 ERA+ in 50 starts and eight relief appearances for the Blue Jays. In 70 career starts and nine relief appearances as an American Leaguer (the other appearances all coming last season with the Mariners), Happ has posted an 88 ERA+. Now, after an impressive 11-start run with the Pirates down the stretch last year, the Jays have brought Happ back on a three-year, $36 million contract, hoping he can be a solid mid-rotation starter for a team looking to defend a division championship. Expecting the 33-year-old Happ to carry that performance back to the AL and into the hitting-friendly Rogers Centre is utterly unrealistic, and the team’s resulting lack of rotation depth is likely to be a primary reason that Toronto comes up short once again come October. While I’m no fan of Ian Kennedy’s five-year, $70 million deal given four years of underperformance, I can at least see its logic in terms of moving to an even more fly ball-friendly park with a first-class defense behind him, not to mention the high marks that the Royals’ coaching staff gets. Gallardo’s numbers have been trending in the wrong direction; last year, his strikeout rate fell for the third straight season and his walk rate rose, producing a career-worst 1.8 strikeout-to-walk ratio. What’s more, he averaged just 5.6 innings per turn and lasted just six innings in two of his final 16 starts. If his 8.8% home-run-to-fly-ball rate regresses towards his career norm of 11%—and it will, in that bandbox—it won’t be pretty. 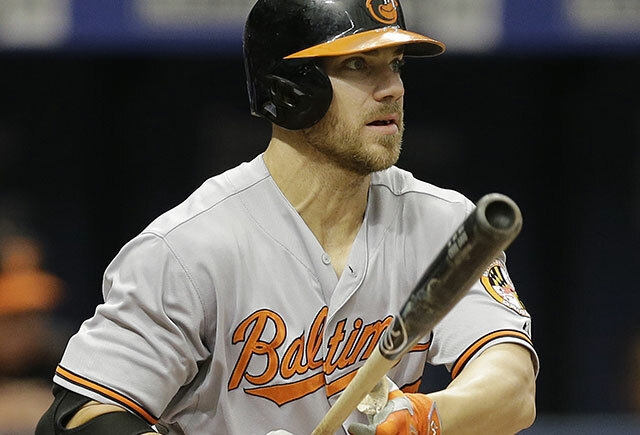 It’s not that I expect Davis to play badly this season; it’s that seven years and $161 million, a record amount for the Orioles, is an awful lot for a 30-year-old with an uneven track record. The guy his 47 home runs last year (not to mention 53 in his breakout 2013) and is certainly no scrub, but that was sandwiched around a year where he hit .196/.300/.404. And as Cliff has noted, players with Davis’s combination of power and poor contact rate tend not to age very well. The 50-home run threshold has been reached only twice in the past eight years (Chris Davis in 2013 and Jose Bautista in '10). But after last season, which saw the biggest jump in home runs since 1993, we get our first season since 2007 with two players hitting the big five-oh. Take your pick from among Davis, Giancarlo Stanton, Bryce Harper, Mike Trout, Nolan Arenado, Carlos Gonzalez and Josh Donaldson. Two of the top five home run leaders in the AL will hail from Minnesota: Miguel Sano, who made a splash after hitting 18 home runs in 80 games last year and will take this year's AL home run title; and Byung-ho Park, the boom-or-bust free agent of the year. Park is the wild card: Korean position player imports remain difficult to project, but it's hard to ignore the numbers, as he's coming off back to back 50-homer seasons in the KBO, and who wouldn't root for 35 or so of these bat flips? Yes, even with the game’s best player aboard. Mike Trout has never won a playoff game, and he certainly won’t this year, not with a lineup that is definitively below average at five spots (catcher, first base, second base, third base and leftfield); a rotation that’s soft-tossing and questionable behind Garrett Richards; and a farm system that would look familiar to Tom Joad, with zero prospects on any of the big three top-100 lists. New general manager Billy Eppler might be forced to trade Richards and Kole Calhoun to begin a rebuild, and the clamor to do the same with his (and the game’s) greatest asset might also start to crescendo. Last year's .210 batting average allowed with runners in scoring position proves to be unsustainable, and the team's multiple lineup holes leave St. Louis just short at the end for the first time in six years. After two years of thrilling trade deadline action, in terms of both the size and number of swaps, this year’s market will be a relative dud. There are several reasons for that. The first is the weak upcoming free-agent class, which will apply little pressure to teams to trade star players. The second is that the best players entering their walk years this April are all on teams expected to contend. What’s more, while there are six teams in some stage of rebuilding in the NL, most have already sold off their top assets, leaving the Rockies’ Carlos Gonzalez and the Brewers’ Jonathan Lucroy as most desirable veterans on those teams. Add in the parity in the AL and the lowered bar for playoff entry via the second wild card, and the result is a trade market that, after CarGo and Lucroy (both of whom could stay put), is likely to be headed up by Josh Reddick and Adam Lind (both pending free agents), Jay Bruce and 39-year-old Braves closer Jason Grilli. While Mattingly didn’t take long to pocket a four-year deal with the Marlins after he and the Dodgers parted ways, it’s worth a reminder that nothing is less permanent than a long-term contract with this fly-by-night team, for whom the next teardown is just one subpar attendance showing away. The Marlins have changed managers eight times since their last postseason appearance back in 2003, including sending general manager Dan Jennings downstairs to replace Mike Redmond in a highly unorthodox and unsuccessful move last summer and then axing him at season’s end. The last Marlins manager on a four-year contract, Ozzie Guillen, lasted just one year before being fired; the team only finished paying off his deal last season. Mattingly’s first big move came straight out of The Martinet Handbook: enforcing an organization-wide ban on facial hair, that from a player whose own mustache was famous back in the day. Sources differ as to whether the idea was actually his, but either way, he’s already policing stubble. Even overlooking the fact that the two stars he inherited, Giancarlo Stanton and Jose Fernandez, both had to clean up in order to comply, the odds of all three sticking around for 2019 are close to zero. Fernandez’s innings limit in his first full season back from Tommy John surgery has already created controversy, as the team initially tried to cut agent Scott Boras out of the loop, though that issue appears to have been ironed out. While escaping the inherent chaos that comes with managing a roster laden with high-priced stars in a major media market may have been Mattingly’s goal, by the time he’s done dealing with owner Jeffrey Loria and team president David Samson, he’ll pine for the antics of Yasiel Puig. The elders tell tales of Octobers long, long ago, before modern memory, when St. Louis did not play. There is no way to know for certain now if these stories are true, or only legend. But they say there may come another fall, when the Cardinals’ lineup grows weaker and injuries multiply, when their Magicks may loosen their grip on the land. The stories tell us that when the crow caws under the crescent moon and the catcher and shortstop battle thumb injuries, the spell may be broken.